Unfortunately I have always suffered with very oily, acne-prone skin. If you read my post here, you'll know that it has pretty much been the bane of my life for over ten years now, and I am constantly on the search for that wonder product that will make my days of acne skin a mere memory. A while ago I reviewed Proactiv, a product I had always coveted trying, and found it to work amazingly well on my skin. So why am I still searching for that HG skincare product? Well, after stopping using Proactiv for a fair few months, my skin was still free of acne and looking it's absolute best, when I tried a new product. I'm not going to name names as such (you can search waaaay back on my Twitter feed if you need to), but needless to say said product resulted in a horrific breakout that left my skin looking horrendous. After weeks of trying (and failing) to get my skin back to normal I decided to book myself in for a Dermalogica facial. After hearing so many wonderful things about how amazing these facials were, from friends as well as reviews online, I promptly walked down to my nearest Dermalogica Salon (which miraculously was 2 minutes down the road from me, a miracle considering I live in the sticks!) and let the Dermalogica specialist do her work. The facial began with a 'skin mapping'; basically analysing my skin and 'mapping' the problem areas, so the specialist knew what was what and could choose the right facial for me. She chose the MediBac facial, for acne-prone skin, and it was a very relaxing experience, involving laid-back music and dimmed lighting, up until the very end of the facial when the 'extracting' began. This basically involved the specialist 'extracting' any spots and blackheads. Yes, not exactly nice, and my skin was pretty much red raw and blotchy-looking afterwards. The facial cost me £32 for an hour's session. Was I impressed? Honestly, not really. It was nice enough lying back and listening to music, but when it comes to it actually improving my skin I didn't see a difference at all. I'd heard so many rave reviews about how fantastic it was for my skin, but mine just looked the same. I was also annoyed as none of my blackheads had disappeared, even though I thought that was what the whole 'extracting' part was about! Clearing Mattifer - This aims to mattify skin and treat any spots at the same time. I really liked this product and used it as a primer before applying my foundation. It's a great base but I'm not entirely sure it really 'clears' my skin. It definitely helps keep oil at bay though. Clearing Skin Wash - A delicate wash which cleanses and washes away impurities. It claims to be 'the perfect start to around-the-clock control of breakouts, comedones and excess surface oils'. I definitely think I've seen an improvement in my blackheads since using it, but don't really think it's helped control my breakouts as such. It's fragrance free and to me feels a bit like applying a water-gel or something to my face - doesn't really feel as though it's cleaning my skin all that well, but it's really, really gentle on the skin so this is a plus. Special Clearing Booster - A targeted, Benzoyl Peroxide-based treatment for spots, which also contains Zinc Sulphate, Tea Tree and Sage. This works as any Benzoyl Peroxide cream does, drying out spots and helping them disappear. I do think this is definitely a gentler cream, as it doesn't dry my skin out quite as much as most Benzoyl Peroxide creams, but it did make my skin feel a tad tight and uncomfortable when on. Overnight Clearing Gel - Another targeted spot treatment, and one which I definitely prefer over the Special Clearing Booster. It's a lot gentler and I usually see much more significant results with this one as opposed to the other. Oil Control Lotion - This is a fantastic moisturiser. It's probably the thing I like best about the range as it is so light and really helps mattify my skin. It reminds me a lot of the Proactiv Daily Oil Control, which I really like. Sebum Clearing Mask - This helps absorb excess oil whilst preventing breakouts. I've only used it a couple of times but so far, I really like it. Concealing Spot Treatment - This is a tinted treatment that aims to concealer spots whilst helping to get rid of them. Honestly? I really dislike it. I didn't find it concealed well at all and came up really orangey on my skin. Also really don't like the consistency of it. Definitely my least favourite product from the range. Am I a big fan of this range? Simply put, no. Dermalogica is a brand I have always wanted to try, and I'm honestly pretty disappointed at the products and the lack of results they gave me. Considering they are so widely renowned for being such a great skincare brand, I was expecting big results. It's obvious Dermalogica put a great deal of time and effort into their products, and on paper, everything sounds great. But when it comes to getting results, for me, this range just didn't work. Yes, I like the majority of the products, but none of them 'wow' me. Would I go out and buy any of them? Considering the prices, probably not. Each product costs from around £20-£30 and I just don't think (personally) they are worth investing in. Obviously, everyone's skin is different, and I'm sure a lot of people love these products. I was greatful to try them, but won't be purchasing them anytime soon. 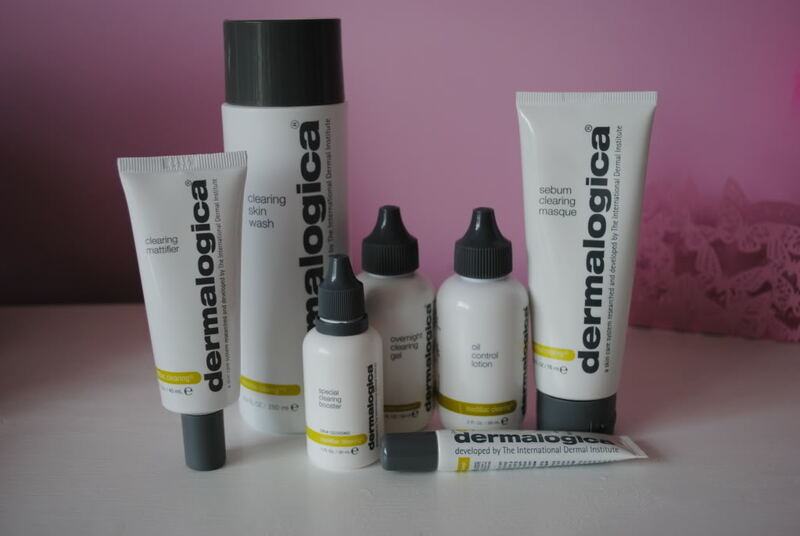 Have you tried Dermalogica before? What are your favourite products for acne-prone skin?